John Wood and Paul Harrison, a British collaborative duo, make single-channel videos, multi-part video installations, sculptural objects, and works on paper that elegantly fuse advanced aesthetic research with existential comedy. The artists’ spare, to-the-point works feature the actions of their own bodies, a wide range of static and moving props, or combinations of both to illustrate the triumphs and tribulations of making art and having a life. 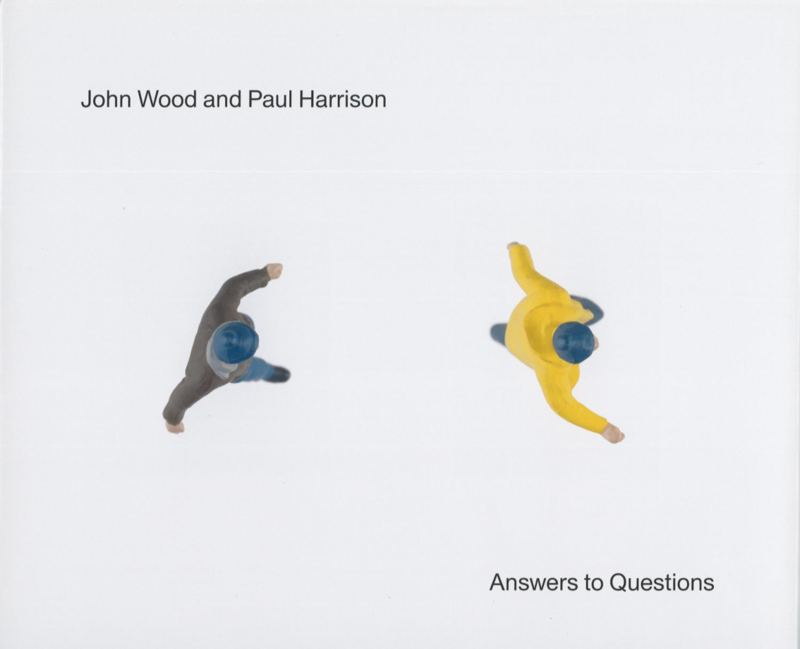 In their not-always-successful experiments with movement and materials, Wood and Harrison employ exuberant invention, subtle slapstick, and a touch of lighthearted melancholy to reveal the inspiration and perspiration—as well as the occasional hint of desperation—behind all creative acts. Answers to Questions: John Wood and Paul Harrison is the first United States museum survey of work in video by this British artistic team. 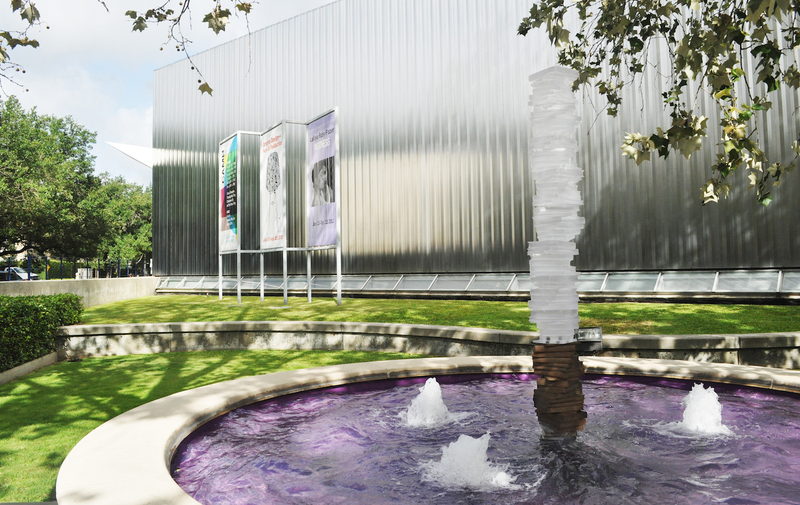 Answers to Questions: John Wood and Paul Harrison has been made possible by the patrons, benefactors and donors to the Contemporary Arts Museum Houston’s Major Exhibition Fund: Major Patron—Chinhui Juhn and Eddie Allen, Fayez Sarofim, Michael Zilkha; Patrons—Louise D. Jamail, Mr. and Mrs. I. H. Kempner III, Ms. Louisa Stude Sarofim, Leigh and Reggie Smith; Benefactors—City Kitchen Catering, George and Mary Josephine Hamman Foundation, Jackson Hicks / Jackson and Company, Marley Lott, Poppi Massey, Beverly and Howard Robinson, Andrew Schirrmeister, Susan Vaughan Foundation, Inc., Mr. and Mrs. Wallace Wilson; Donors—A Fare Extraordinaire, Anonymous, Baker Botts, L.L.P, Bergner and Johnson Design, The Brown Foundation, Inc., Jereann Chaney, Susie and Sanford Criner, Elizabeth Howard Crowell, Ruth Dreessen and Thomas Van Laan, Marita and J.B. Fairbanks, Jo and Jim Furr, Barbara and Michael Gamson, Mr. and Mrs. William Goldberg / Bernstein Global Wealth Management, King & Spalding L.L.P., KPMG, LLP, Judy and Scott Nyquist, David I. Saperstein, Scurlock Foundation, and Karen and Harry Susman. Answers to Questions: John Wood and Paul Harrison is organized by Toby Kamps, Curator of Modern and Contemporary Art, The Menil Collection, Houston.